It's fitting that this indie/pop/punk 3 piece from Milwaukee, Wisconsin took their name from an early Who single as the group continues their naming inspired group's fiery sing-along-theatrical -songs energetically. The band sounds larger then the sum of their three parts on this disk with a thundering rhythm section marching behind the anthemic lyrics. The title track screams it's independence as the drums of Shane Hochstetler simply pound out the thunder. The bass of Kris Maedke-Russell dominates the opening "Called To The Throne" while front man Nathan Lilley screams out into the night on tracks like "Beyond The Beasts" and "Bronze Hell". The groups keeps it high octane except for a minstrel sounding "The Fog" and there seems to be a loose theme around these songs that recalls sword and sorcery, but nothing gets to D&D based to distract from the tunes. 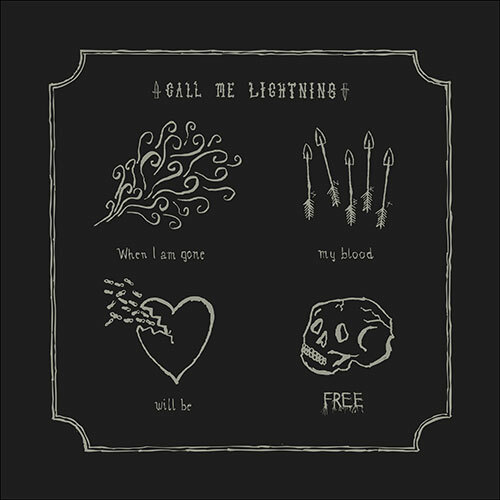 Call Me Lightning's bring to mind a more guttural version of Titus Andronicus at their simplest, but the power is never diluted. The band is a catchy powerful as all hell trio that has hooks in the right places and succeeds on When I'm Gone My Blood It Will Be Free.